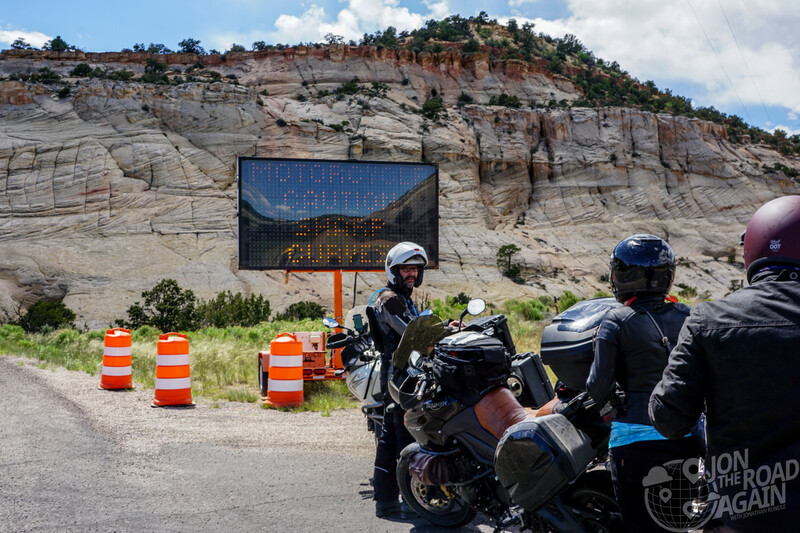 Between Capitol Reef National Park and our final destination for the day, Bryce Canyon National Park, there lies a lovely stretch of road. 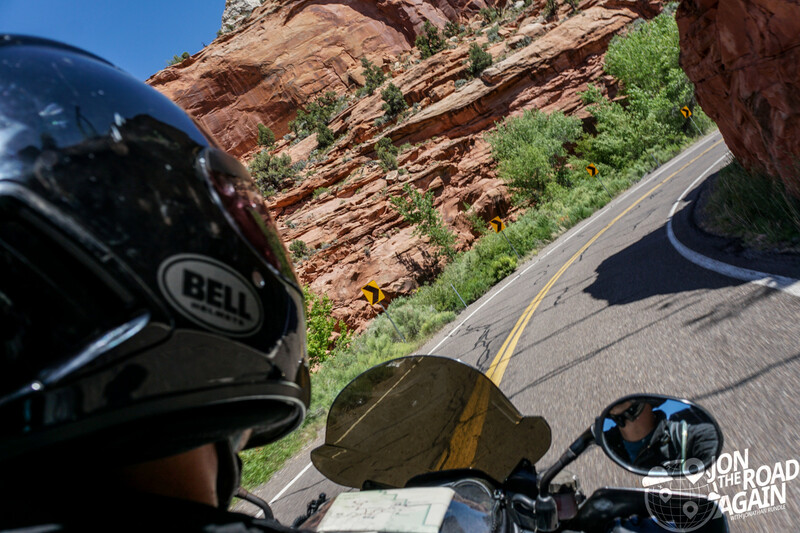 Today we’re motorcycling Utah Scenic Byway 12. 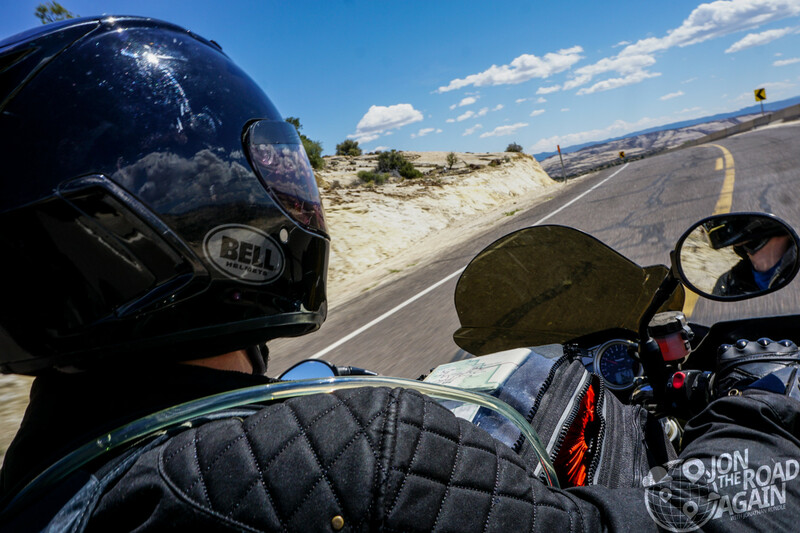 Twisting up into Dixie National Forest and across the backbone of Grand Staircase-Escalante National Monument, Scenic Byway 12 is 123 miles of varied altitude and terrain. Among the many sweepers you’ll encounter are a lot of pullouts with scenic views of forest, mountains, and desert. 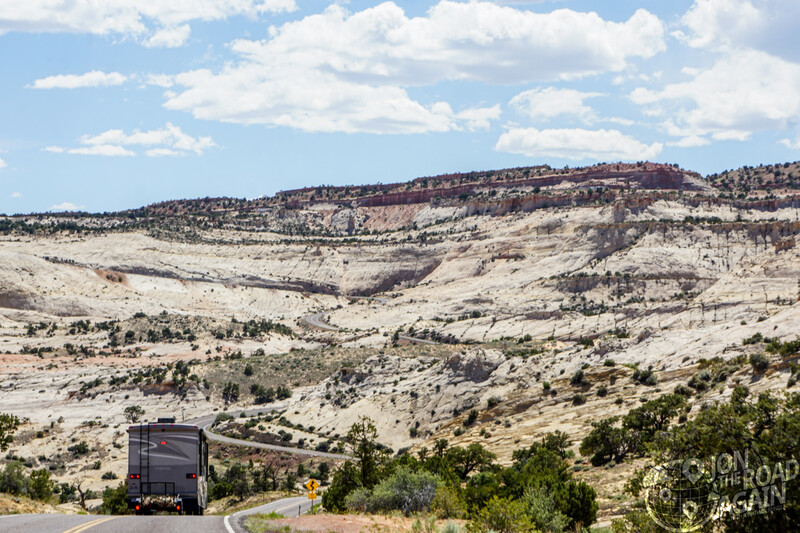 Dixie National Forest stretches for about 170 miles across southern Utah. It includes almost two million acres and is the largest national forest in Utah. The forest is adjacent to three national parks and two national monuments, and includes areas of similar natural beauty. Utah 12 goes in and out of the forest three times. 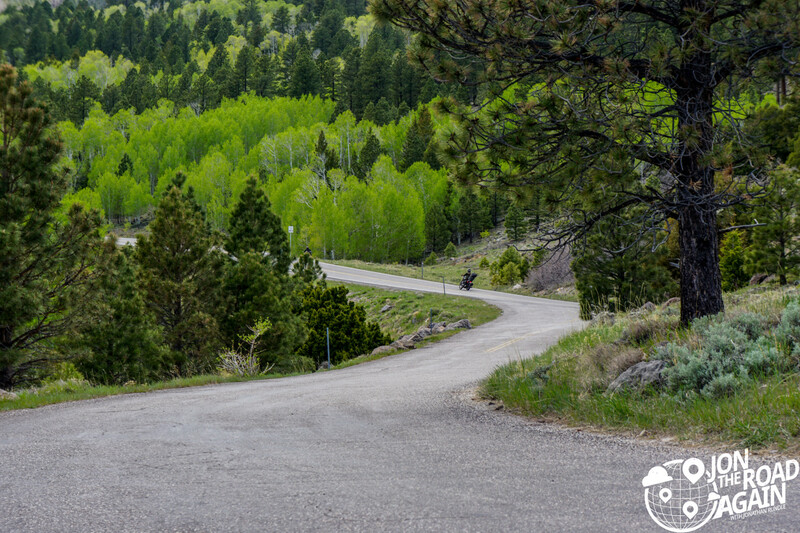 As it winds along the east flanks of Boulder Mountain, Utah Scenic Byway 12 climbs to an altitude of more than 9,000 feet and affords breathtaking views of the rugged, rainbow-hued landscape stretching out below. 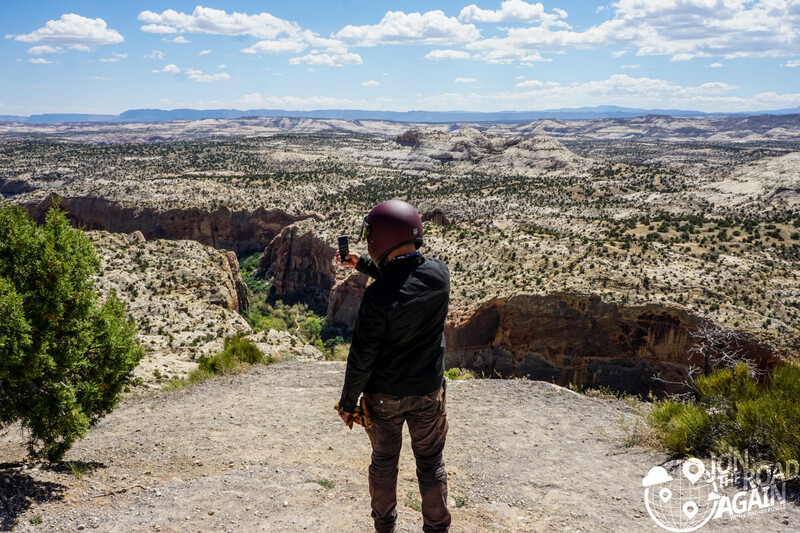 The Grand Staircase is an immense sequence of sedimentary rock layers that stretch south from Bryce Canyon National Park through Zion National Park and into the Grand Canyon. In the 1870s, geologist Clarence Dutton first conceptualized this region as a huge stairway ascending out of the bottom of the Grand Canyon northward with the cliff edge of each layer forming giant steps. Caution?! Sharp curves? Thanks for letting us know! Let’s hit it! At some points Utah 12 follows the very top of the slim plateau. This area is called The Hogback. 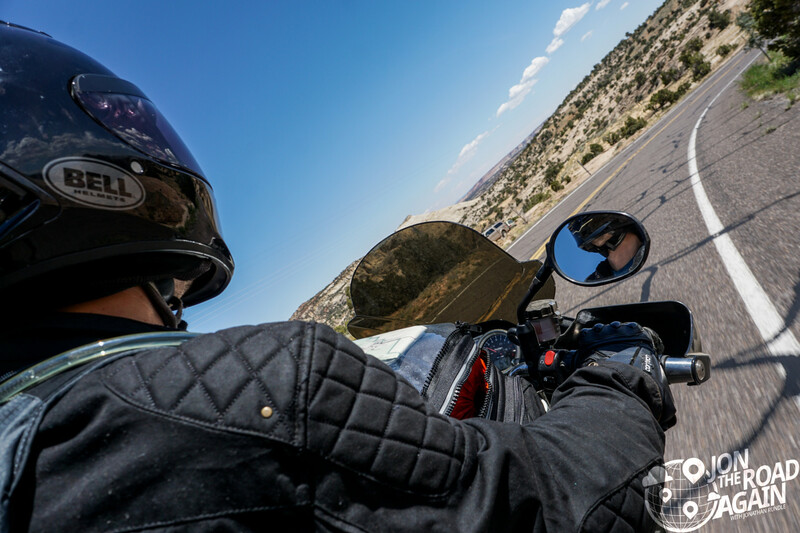 At both the left and right of the roadway are steep drops and endless views. We stop at one of the many pullouts for a panorama photo. After Bryce Canyon, Utah 12 turns into Red Canyon. Unlike Grand Staircase where you are at the top of the plateau, in these parts you’re inside the canyons, carving away just as water did millions of years ago. Isn’t water the best? Thanks, water! 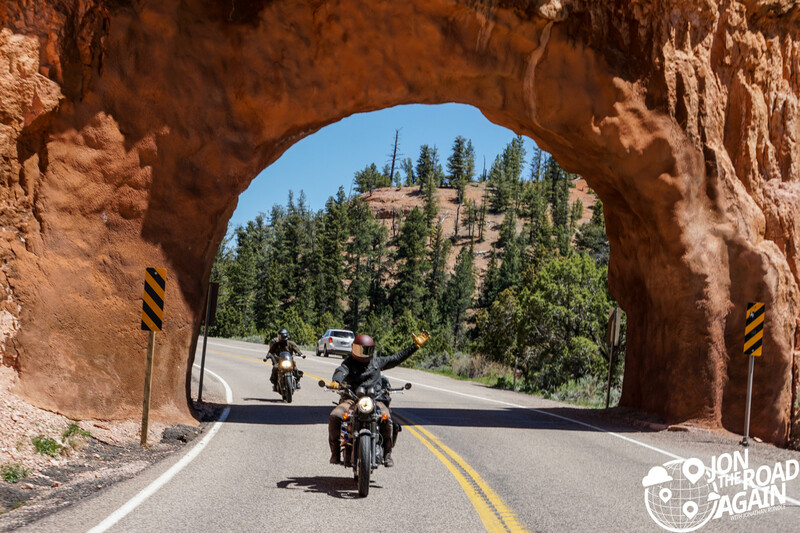 Further down the road after Bryce Canyon, you’ll pass through a large arch that spans the roadway. A photo is mandatory. This road is NOT just a means to get from point A to point B. Enjoy these views and these curves. Be ready to take photos at a moments notice (if that’s your thing). Bryce Canyon and Zion National Park!